Let the RedStone brand save you money! With over 25 years of experience in Logistics, Warehousing, Transportation, and Manufacturing, in a wide variety of industries, RedStone is primed to help you with your packaging needs. As a regional distributor of Pregis’ industry leading packaging products, RedStone is ready to assist you in all of your packaging needs. Let the RedStone brand save you money! 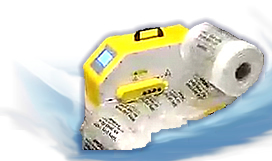 Own your own air pillow machine? 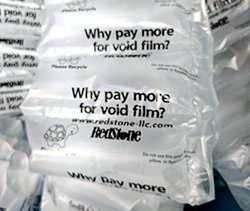 RedStone can help you develop your own generic film. Contact Us to learn how!